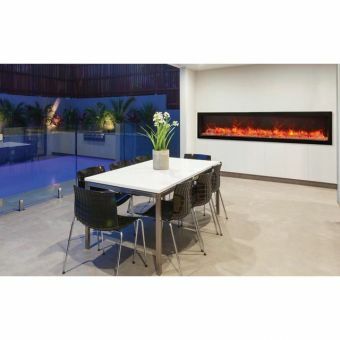 Modern Electric Fireplace - fireplaces that install in minutes in any location. 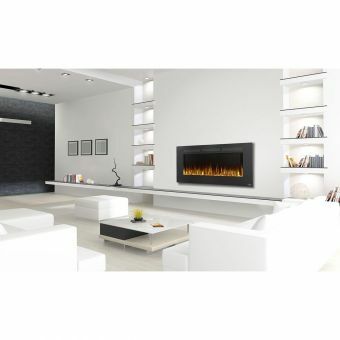 If you live in an apartment or a condominium and desire the look of a Modern Electric Fireplace, there is an alternative. An electric fireplace requires no renovation to your property Simply place it in the location you like and then plug it in. It's as simple as that. There is no vent required and no gas line to run. 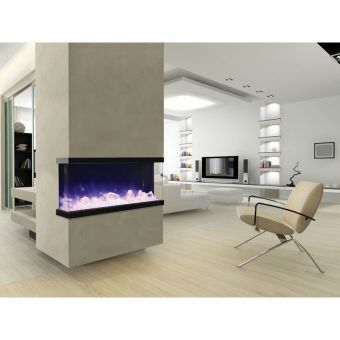 A Modern Electric Fireplace is so convenient you can carry it upstairs with ease. And move it from room to room, depending on the event. Wherever there is an outlet you can have a fireplace. 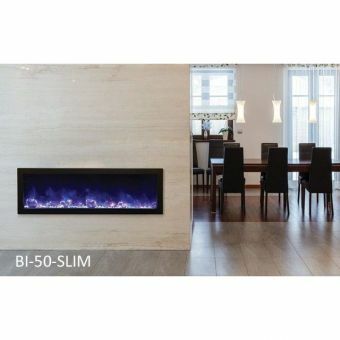 Where in the past, an electric fireplaces and Electric Fireplace Logs looked artificial, advances in technology have produced models that rival the appearance of a real fireplace. Even the flames look real. 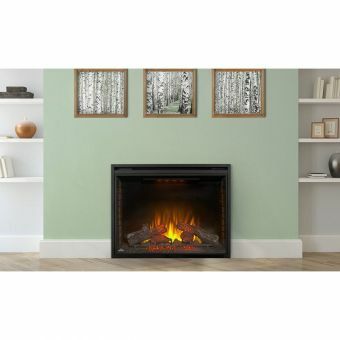 Another advantage to an electric fireplace and Electric Fireplace Logs is that you can use it any time of the year. Live in a warm climate or are the temperatures outside in the eighties. 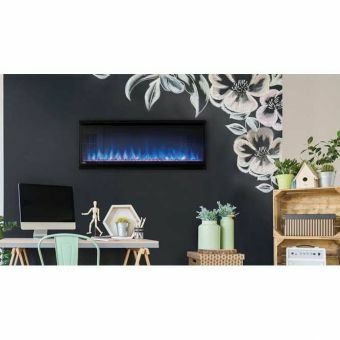 You can set your fireplace so that it doesn't give out any heat, but still adds ambiance to your room. If you're considering the purchase of a space heater you might want to reconsider. 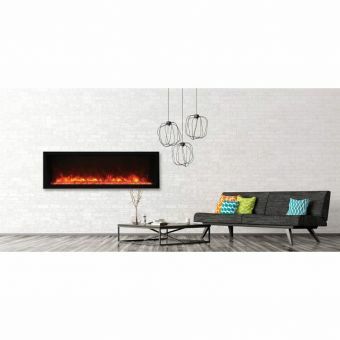 An electric fireplace is more stylish, while still giving off the necessary heat to warm a room. 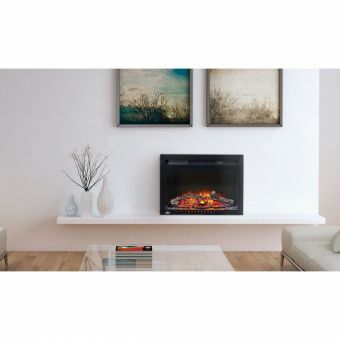 Woodstoves-Fireplaces has two popular lines of electric fireplaces and Electric Fireplace Logs, Napoleon and Majestic. And because of this we have a number of styles to choose from. 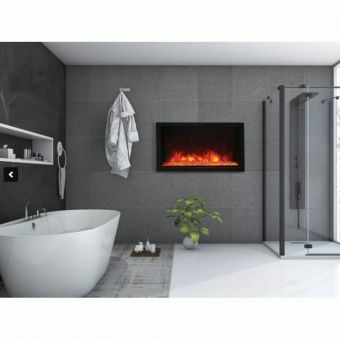 We even have models that come with an attractive mirror kit that you can install to the top of your fireplace. Our prices are always competitive but if you find a better price, let us know and we will match it. And our orders ship out within one business day and often arrive in 5 days. Then unload your unit and plug it in. There is no assembly required.